we are seeking an Vulnerability Assessment Analyst to support one of our programs in Springfield, VA, St. Louis, MO or Denver, CO.
Criterion Systems offers great benefits including medical, dental, vision, 401(k), tuition reimbursement, and competitive pay. 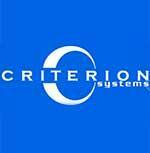 We encourage all our candidates to check out our website www.criterion-sys.com to learn more about our cutting-edge projects, supportive company culture, and offerings. Provides knowledge in computer and network forensics. Conducts vulnerability assessments/penetration tests of information systems. Develops, researches and maintains proficiency in tools, techniques, countermeasures, and trend in computer and network vulnerabilities, data hiding, and encryption. Identifies, deters, monitors, and investigates computer and network intrusions. Provides computer forensic support to high technology investigations in the form of evidence seizure, computer forensic analysis, and data recovery.